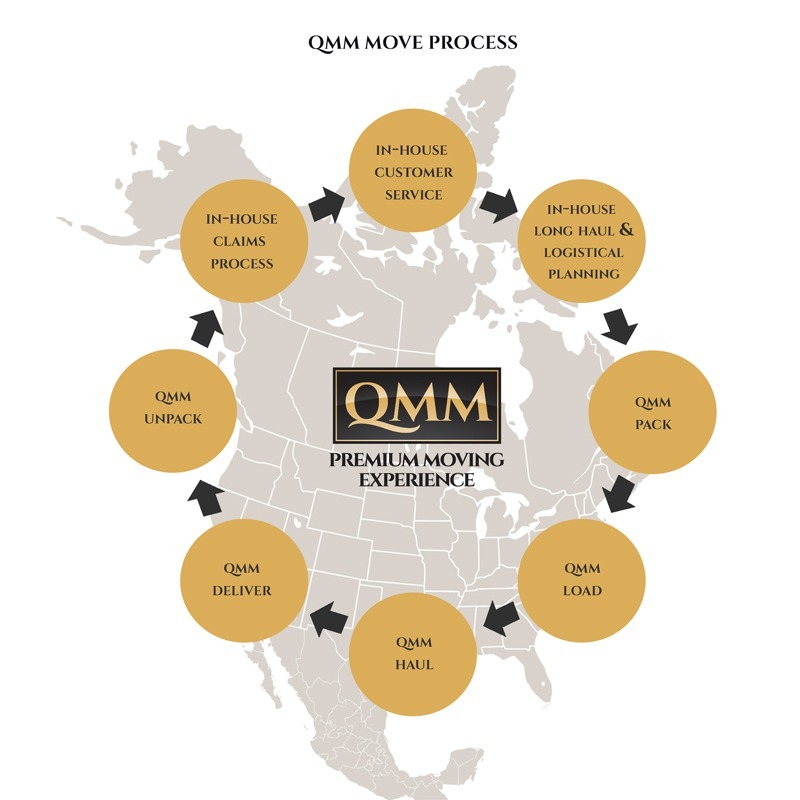 Why Choose QMM as your Canadian moving company? QMM is one of the best moving companies in Canada that provide you with a stress-free moving experience. Quality is in our name, and our focus is always on providing an outstanding customer services. You will have complete peace of mind when you choose QMM as your moving partner. Throughout every stage of your household or international move, you benefit from the QMM/Allied Advantage. From our full menu of services and exceptional customer service to our seamless relocations and many valuation protection options, the QMM Advantage benefits your move from beginning to end. Over the years, we have been investing very heavily to create resources to deliver a “Premium Moving Experience” to our customers. Our well-trained professional movers meet QMM’s unparalleled service standard to ensure that your belongings arrive safely at your new home. We have developed in-house capabilities as a full- service moving company that offers the best local, long distance and international moving services to customers.We do not subcontract to any third party vendors. This has enabled us to handle your move from start to finish. We plan your entire move in-house, right from the pack, unpack, loading and unloading of your shipment. This translates into superior customer experience as we have complete control over your shipment. In addition to offering the most comprehensive residential moving services, QMM also provides exceptional customer service. Our highly-trained, knowledgeable professionals will be there for you throughout the move, assisting with your every need. From your personal move coordinator who will help you with the pre-move plan and selecting the services you need to the drivers, packers and move crews, you will be interacting with QMM throughout your move. The QMM Advantage also includes many valuation protection options for your belongings during the move. QMM cares about your valuables as much as you do, and we do everything in our power to protect your goods throughout the move. As much as we do to prevent it, sometimes damage and loss can occur. For this reason, we offer comprehensive valuation protection to cover any damage or loss during transit. Basic liability protection is also available at no charge. Choose from extra valuation protection or basic liability protection based on your needs for a totally secure move.